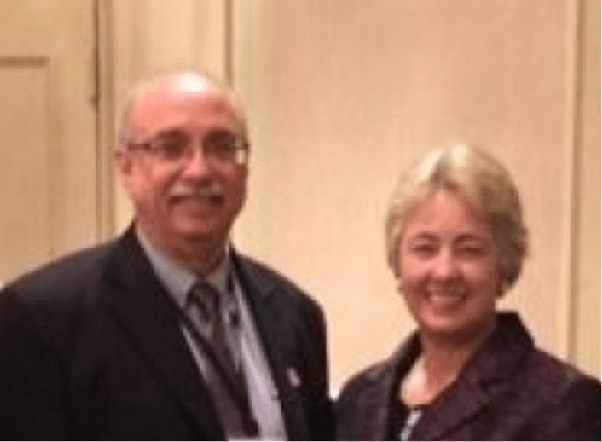 Realty News Report Editor Ralph Bivins and Houston Mayor Annise Parker. HOUSTON – West Texas Intermediate crude dipped below $40 a barrel for a few days in 2015, punctuating a brutal assault on the Texas economy. It was long fall from $107 a barrel in the summer of 2014. Thousands of Texans were laid off in 2015. Millions of square feet of office space were dumped onto the sublease market by energy firms. And residential real estate markets are feeling pressure in some places. But 2015 could have been a lot worse. Houston’s Downtown Living Initiative worked. By giving a $15,000 per unit tax break, the city induced a downtown construction boom. Eleven projects with 2,729 units are under construction now. This boosts downtown retailers, restaurants and the convention business. The Astrodome lives. With support from the Urban Land Institute and County Judge Ed Emmett, the historical stadium, a symbol of our city’s can-do spirit, could be a grand redevelopment. We’ve heard rumblings that the Rodeo Association and Texans football team could be more cooperative, but hopefully they will straighten up and fly right. Frank Liu of Lovett Commercial acquired the 16-acre downtown Post Office. This mixed-use project will be a catalyst for growth in the north part of downtown Houston and a blessing to the Buffalo Bayou revitalization. Chemical plant construction is on a rampage because of low energy prices. Over $30 billion, perhaps as much as $100 billion, is being spent for new chemical plants to produce plastic and the like. Thousands of construction jobs are being created. Some people bad-mouth the temporary nature of construction jobs. I don’t. Daikin is building a 4 million square foot HVAC manufacturing plant on Houston’s northwest side. It’s the largest tilt-wall construction project in the world and 4,000 people will work there. The University of Texas is buying 332 acres south of Loop 610, near the Astrodome, for a major campus. Some worry that it could neuter the University of Houston’s ambitions. But the UT project could ignite south side growth in a major way. Much of Texas has shrugged off the oil slump to have great years. The Texas Association of Realtors projects 2015 will be the best year ever for home sales in the Lone Star State. Dallas has been scoring big with corporate relocation, including Toyota’s North American HQ. And retail is surging in Houston with the occupancy rate of 96 percent – the highest on record. Many sectors are thriving, despite the headwinds.